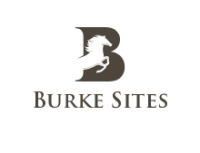 Mr. Burke founded and recently sold Roscommon Healthcare, a three facility nursing home company in Boston, MA. He has over twenty five years of experience in nursing home management. Mr. Burke received his undergraduate degree from the University of Massachusetts at Amherst. He is a Certified Public Accountant, past-chair of the Massachusetts Society of Certified Public Accountants' Long Term Care Committee and a licensed nursing home administrator in the states of Massachusetts and Rhode Island. In addition to serving on several Boards in his hometown of Duxbury, MA, Mr. Burke serves on the Dean’s Advisory Board for UMass Amherst’s College of Nursing.